Have you been watching the Bake off on the BBC? God love Mary Berry. Cake as well – thank everything for cake and meringues and pies. 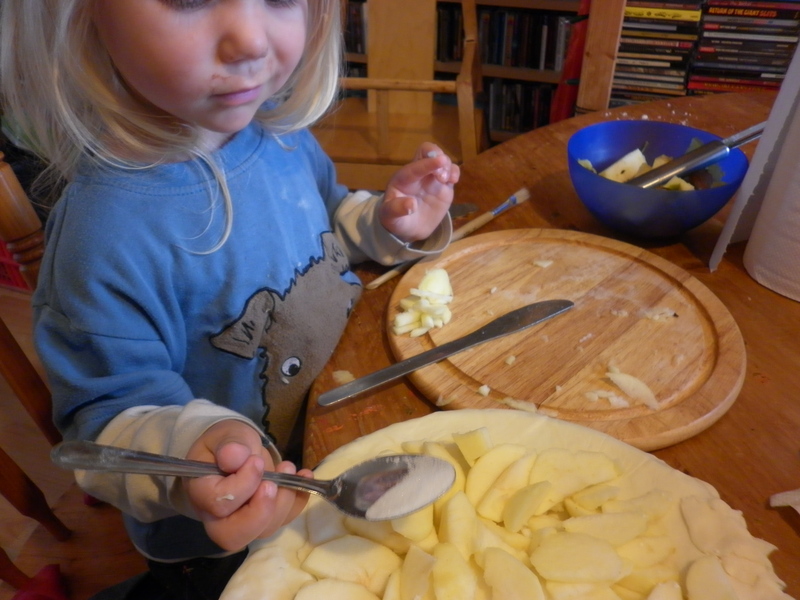 Which leads me to this easy-to-do-with-a-wo-year-old Apple Pie. 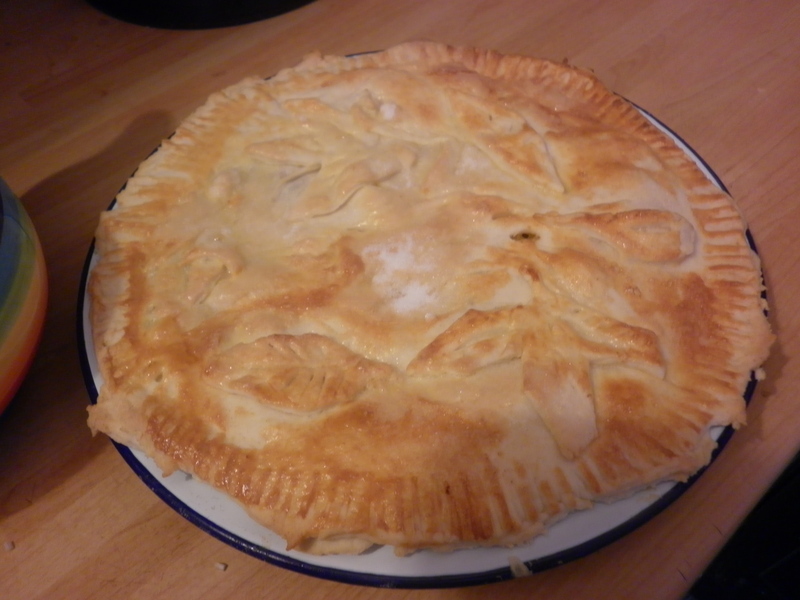 The enamel pie dish was my Granny’s. 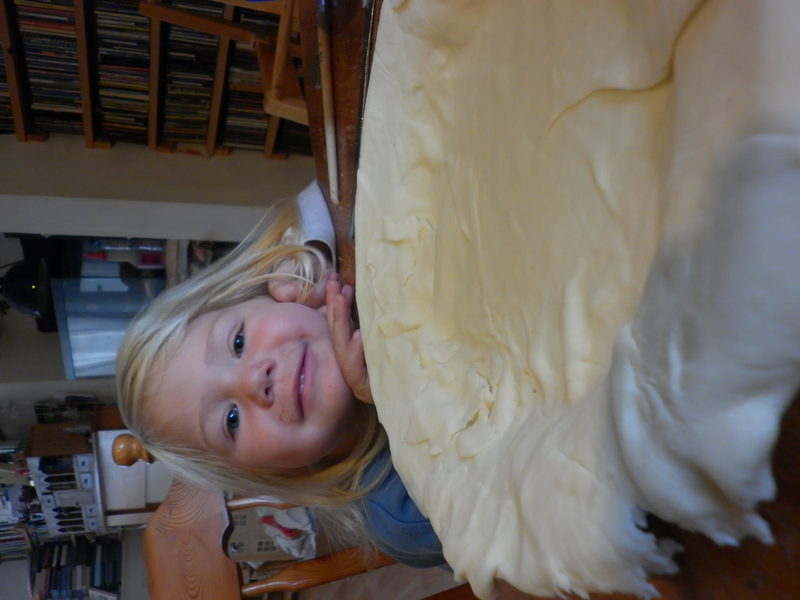 As is the not-really- recipe method. 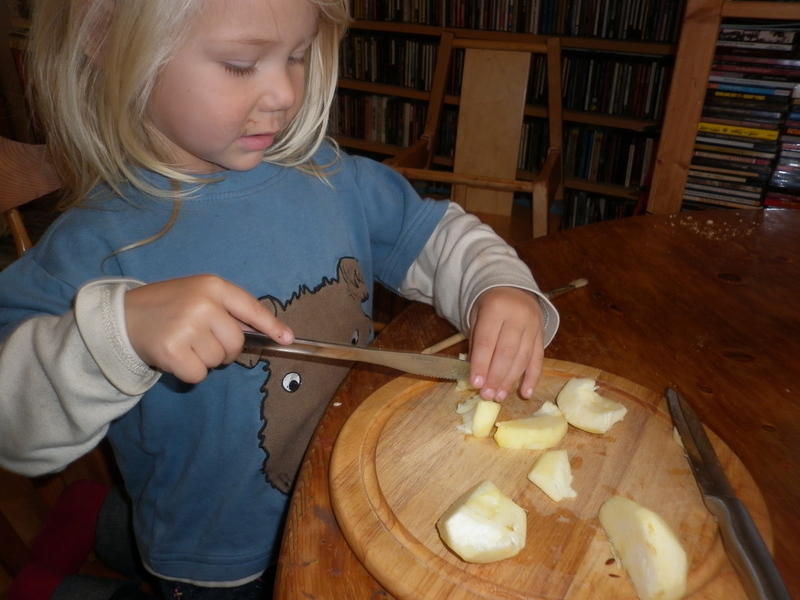 Peel some apples. 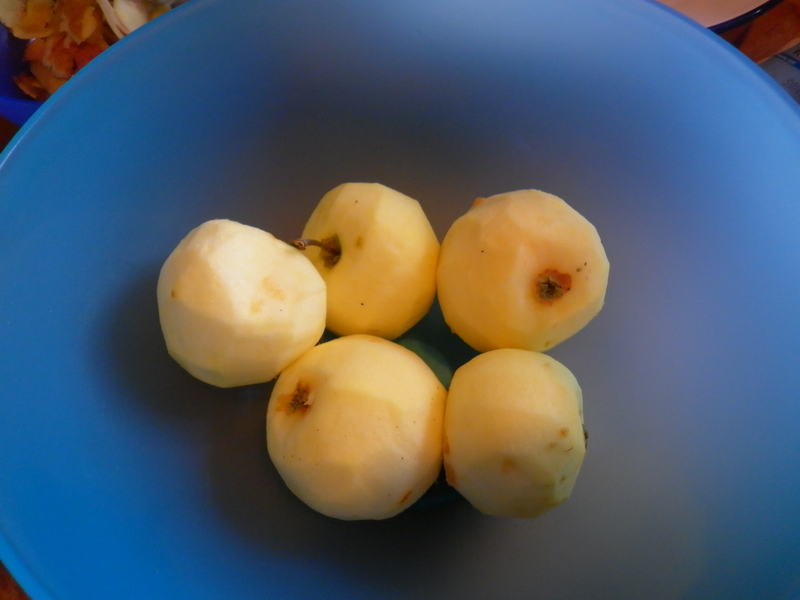 These are from G’ma’s tree and are a sharp eater so they don’t need much sugar. Next it’s pastry. 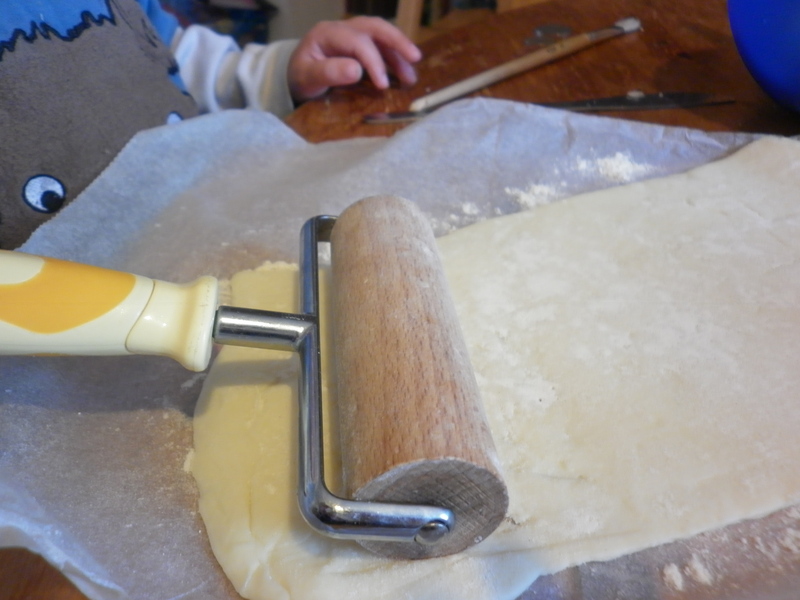 Now today we happen to have spotted a packet of ready-made ready rolled short crust for the bargain price of 50p in the reduced food fridge which does make the pie making truly easy peasy but home made shortcrust pastry isn’t that hard and it’s definitely cheaper and less additive ridden. You just need to do this bit ahead so it can rest in the fridge. You need half fat to flour. Plain flour and I use half butter and half veg lard. Dice up the fat mix it loosely into the flour and put the bowl in the freezer for ten minutes (ish) with a glass of water. Take out, rub until it resembles breadcrumbs then mix together with the cold water, bit at a time until it comes together. Work until you have a nice fat smooth ball (not too much) then wrap in clingfilm and stick in the fridge to rest (maybe an hour) Ta da pastry. I’m really fond of this roller. I find it makes rolling stuff out in small places easier and since I’m not blessed with acres of worktop I’m very grateful for that. It’s easier for small hands as well. 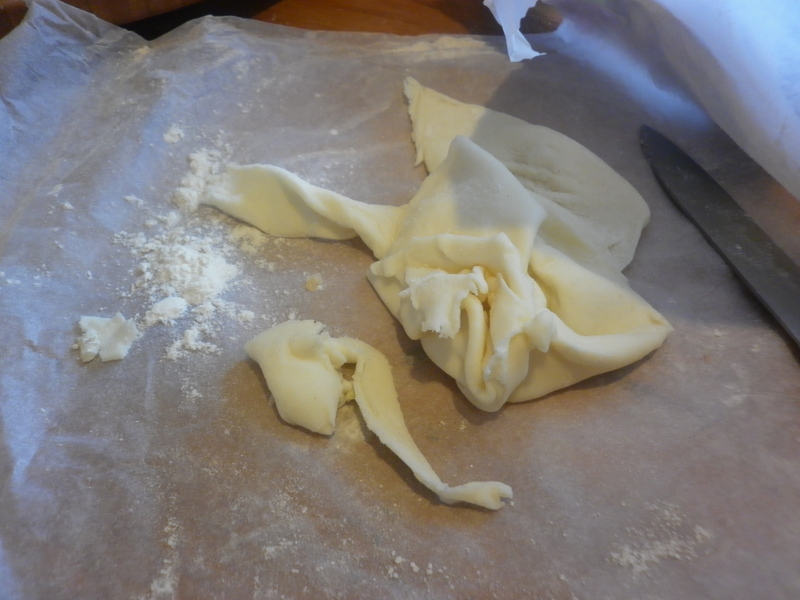 Drape the half of pastry you’ve rolled out over your plate. If you’ve got holes, patch them with a bit from the edge. It didna matter. 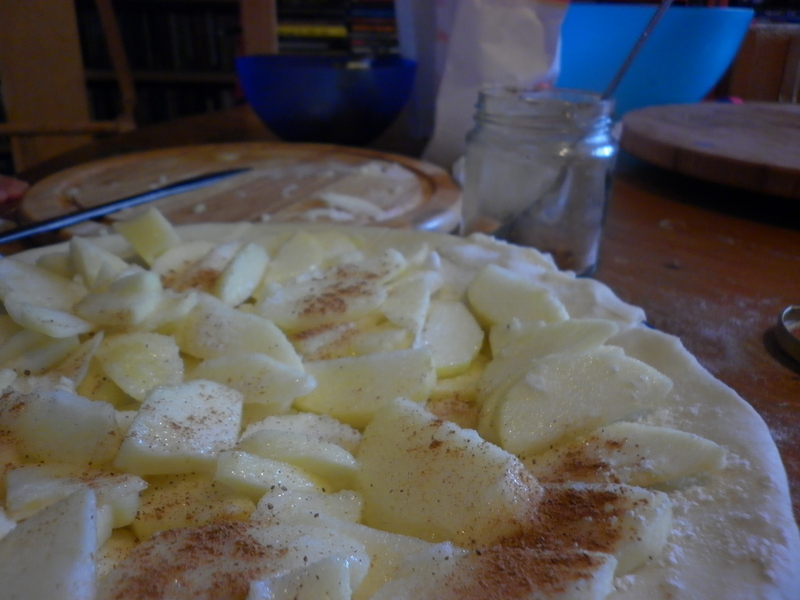 Then some cinnamon, this bit will probably need a joint effort as you want it everywhere not just in one place. Mmmm, cinnamon smells so good! Then roll out your other half and drape over the top. 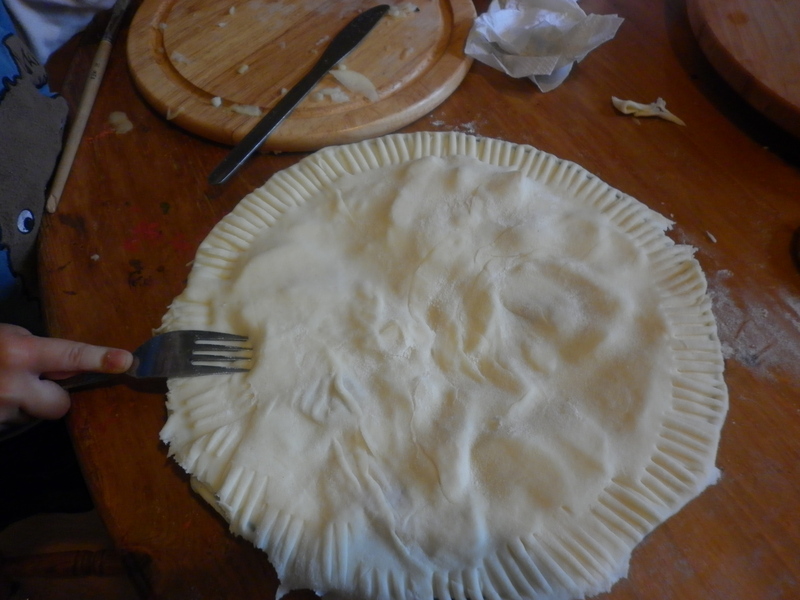 Lots of overhang is good – trim it off then use a fork to press the edge. Going with all the autumn love in this house at the moment we went for various leaves..and an acorn…and *cough* a worm. 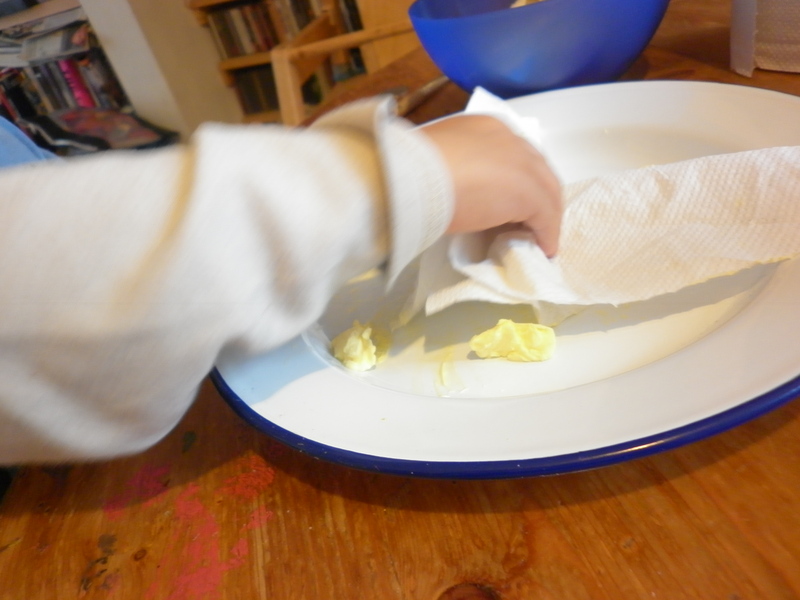 Then paint the top with beaten egg. 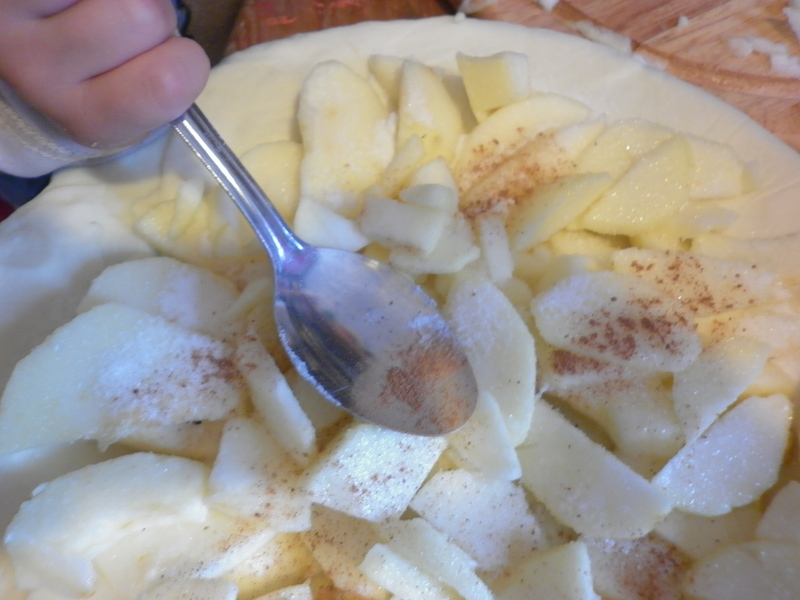 then sprinkle with sugar and bake in a medium oven till it’s golden and smells delicious. It really is easy peasy and you can tell that because voices were not raised and tempers were not lost. Miraculous no? My M&D are coming for tea tonight and we’re having this for pudding. We made a special stop off at the shop for cream on the way home from school. The excitement levels are high. I’ll try and remember to take a picture although I suspect I’ll have to be quick. 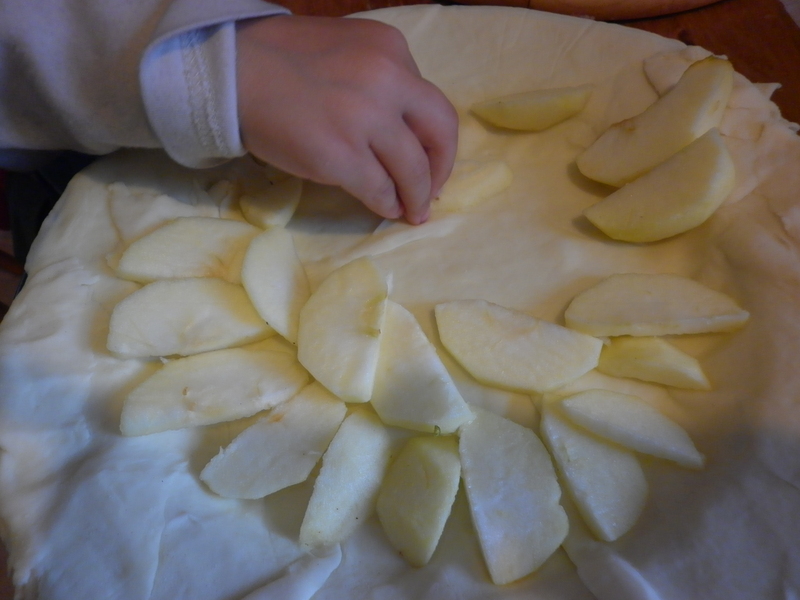 This entry was posted in Uncategorized and tagged apple pie, autumn, Beautiful Things, children, cooking, food, happiness, recipe. Bookmark the permalink. Wow that pie looks amazing. Looks like the little one had fun too. 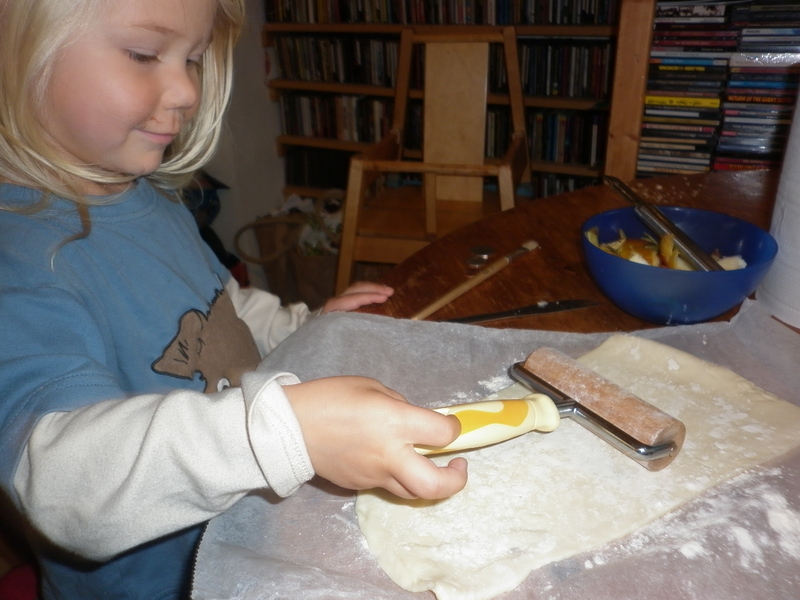 Great to see kids being included in the kitchen. 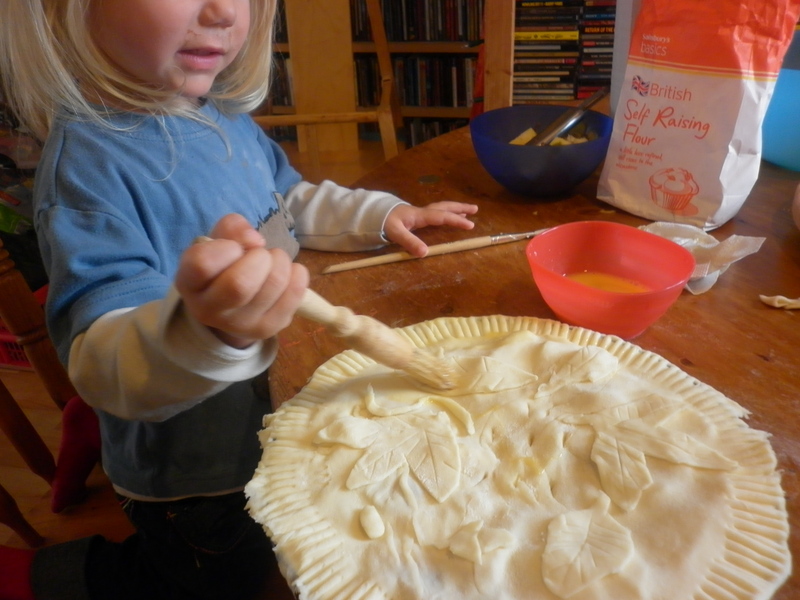 So many grow up having no idea how to boil an egg let alone bake a pie. Oh, we were addicted to the Great British Bake Off too. Take a look at our version of the Victoria Sponge http://ahintofgarlic.wordpress.com/2011/10/03/ultimate-victoria-sponge/ if you get a moment. It’s all gone! 🙂 even Steve had a slice and he doesn’t like cooked apples ( bah!) but best of all it was a genuinely pleasurable cooking experience with Ida. No shouting at all. I saved that for when she drew whiskers on with permanent pen later on…. Yes, I wanted to see the crocodiles, too. You could decorate with them for a Hallowe’een pie. mmm – yes. 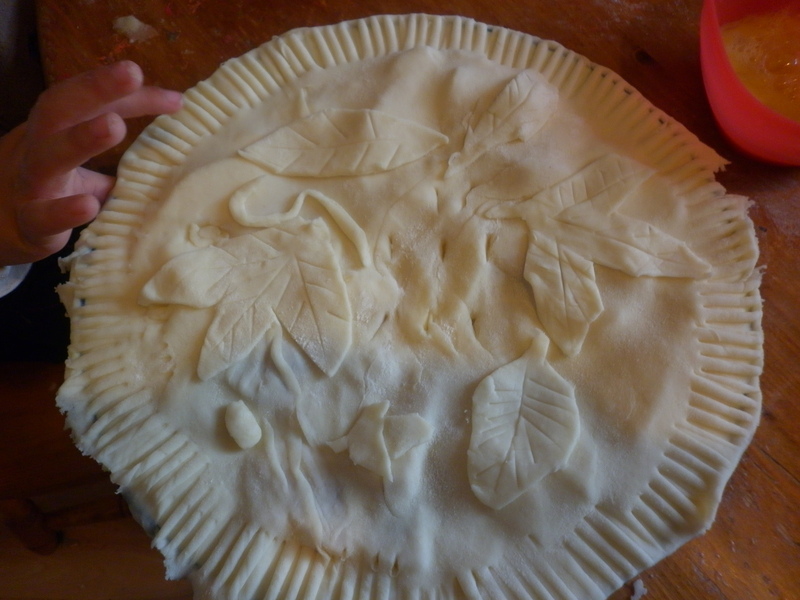 I quite fancy making a sweet pumpkin pie….